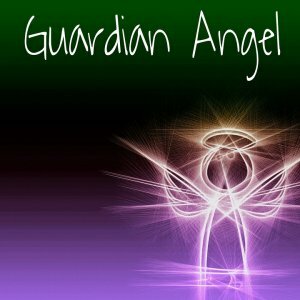 →Guardian Angels – Are you getting your messages? 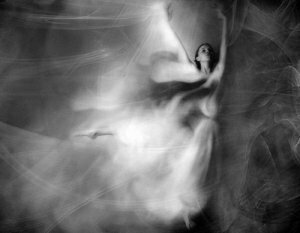 Guardian Angels – Are you getting your messages? Continuing on my spiritual journey to Health, Wealth and Enlightenment. I felt this shiver go through me. As I mentioned in other blogs, I was sick a lot and just thought that maybe I was coming down with something. Now I have had a pretty bad memory through life, maybe from too many pain pills, maybe for other reasons, but that moment stayed very clear in my mind. Because, later in life, I worked in a church as an executive secretary and I remembered when Pentecost came along or I heard it mentioned, I would get shivery goosebumps and I remembered my Sunday School teaching experience and started to see a pattern. A pattern which I would note over and over again in my life. Which after talking with new age healers, I refer to as my “this is true” tremors. Now skipping backward in time again I guess I’d also have to say I truly believed there was a heaven when our middle son died @childbirth and I had such a strong revelation that there really was heaven and it was a wonderful place. We thought of him as our little angel. 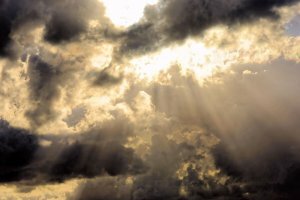 When I was a church secretary I even wrote a sermon about heaven and near death experiences . The church curriculum and the bible don’t really mention it that often. We would give out a book to people who had lost a loved one called ‘Embraced by the Light’ by Betty Eadie. She wrote of having several near death experiences and saw a little more of heaven each time. The book helped people further believe their loved ones were in a better place. Skipping forward in time to my diagnosis of cancer. My husband was with me and we went to sit out in the car to process what we had just heard. We were trying to pull ourselves together before more tests my doctor wanted me to take. While sitting in the car, I started to get a strange sensation of calm. So, I mentioned to my husband that something was happening. The poor guy now thought maybe I was having a stroke or something. I tried to let him know what I was experiencing. That it wasn’t a bad thing. I felt something good was happening. It wasn’t that I actually saw anything but I tried to explain to him that I could feel a presence or something. The presence seemed to be coming down from the right side of the sky and was making me feel calmer. I felt I was going to be okay. There was a calmness that came over me, like a warm blanket or hug. Was it a guardian angel coming down to help me? Now, unfortunately, although it helped a lot, it didn’t totally last, as I can remember being so scared for my life. But, it was a wonderful, helpful experience and then I started getting reminders. You know, I can actually say, although some might say it was drugs, but I had the feeling Jesus was sitting beside me holding my hand in the steely cold room that I waited in before my surgery. That thought still makes me feel comforted. The second part of my cancer treatment involved 7 weeks of radiation with only weekends off. I stayed in a building in a small room with a bed and washbasin. These rooms were made available for patients that lived too far from treatment center to drive every day. At that time I started to see a pattern emerging. When I would wake up in the morning it would be 7:38 or 6:38. If I had a nap in the afternoon I would wake up at 2:38 and so on. Was I getting messages? Now you might ask why I would even notice this, but both of my sons played high school football and they both wore the #38! So, I started to really wonder about this. Even went to the library to see if they had a book that might give me answers. I picked up a book about angel numbers’ which made me confident that I was being told that I would be okay and I would find my way to better health. So now I am thinking this is a sign from my guardian angels that I’m going to be okay. I will find a way to be healthy again. So I keep watching and listening and learning. I’d even started to see the number in more places. And, you have to understand it wasn’t as though I was searching for it – I’d wake up and there it was on the clock! I continued to see 38, 37 and 39 through my health process. Each with a slight difference in meaning. I continued to learn more about how God/universe can help us. (see my blogs re the Masterkey Mastermind course.) Also continue to further explore and learn from spiritual leaders, knowledge on energy healing and techniques. Of course, taking Immunocal for my immune system to keep my body healthier. When people are writing books (see my book written while going through my spiritual journey) or writing songs and making discoveries many people will say how the ideas and music just came to them. If you are open minded, sit still and listen. 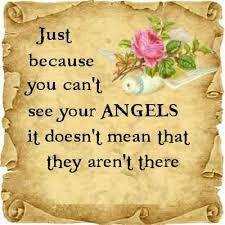 You can get messages, but are you listening and paying attention to universe/God/your guardian angels? Wishing you great health, spiritual messages and peace – especially during this Christmas season!! I wonder if Guardian Angels are just signed to us at random, or are they a family member somewhere within the family tree? I think our guardian angels vary with each person. I don’t think mine are family members, but I am sure family members help us along the way also. I think we have a few specific guides that help us out at different times as well. I do believe that we do choose many of the details of our new lives as we reincarnate to help with life lessons. Making us more understanding and compassionate as we go along. I also think we reincarnate with many of the people in our present lives that we knew from our past lives. We are all made of energy, so I don’t believe we die, I believe we just change. Thank you so much for saying you love my post! When you put your true life out there, you wonder how people will react! Thanks for always reading and supporting me. I have really heard intuitive people say that my brother Ken is an old soul!! And have been told I am one also.